﻿ News - AQUAAIR - Oil-free, water-injected screw compressors with a drive power of up to 110 kW! Oil-free, water-injected screw compressors with a drive power of up to 110 kW! Unique top performance: With the new large air ends, AQUAAIR sets international standards and underlines its role as a technology leader in oil-free, water-injected screw compressors. The new air end of AQUAAIR deliver an impressive power dimension to the market for oil-free compressed air with up to 110 KW drive capacity, 20 m³ / min intake airflow and 16 bar operating pressure. This performance is only available with AQUAAIR for oil-free compressors. – Now ready for your success. Particularly in the low speed range, the energy consumption of these frequency-controlled systems is extremely low. This makes the production of oil-free compressed air on a large scale as cost-effective as never before! – Save up to 35% energy costs! But inspection costs and downtimes are also minimal – the number of parts requiring maintenance has been further reduced and wear has been almost completely avoided by mechanical friction. Thanks to innovative engineering in construction and material development, the service life was significantly increased. 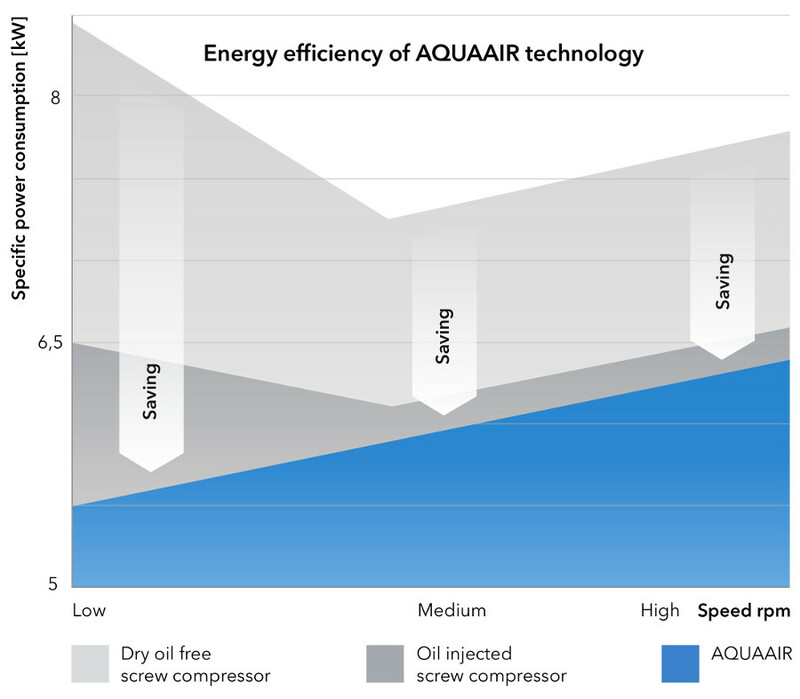 Of course, the new systems offer all the advantages for which screw compressors from AQUUAIR are appreciated in many industrial sectors: All bearings are water-lubricated, no oil or grease lubrication. – AQUAAIR obtains the required water directly and exclusively from the surrounding air. An expensive and complex water treatment is no longer necessary. – The result: 100% germ-free and oil-free compressed air certified by FRESENIUS. Compressor performance should be measured, not heared. Despite their powerful performance, the new systems are extremely quiet in operation over the entire kW scale. In addition, the air ends hardly radiate heat – a clear plus for the production and staff environment. These exemplary features allow the creation of entirely new, highly flexible installation concepts: The facility is located everywhere, where space is available for installation. It can also be easily installed in sensitive environments, such as beverage filling. As a rule, a separate compressor chamber is not necessary, since the large AQUAAIR installations hardly emit heat and sound and also do not obscure the ambient air with oil. 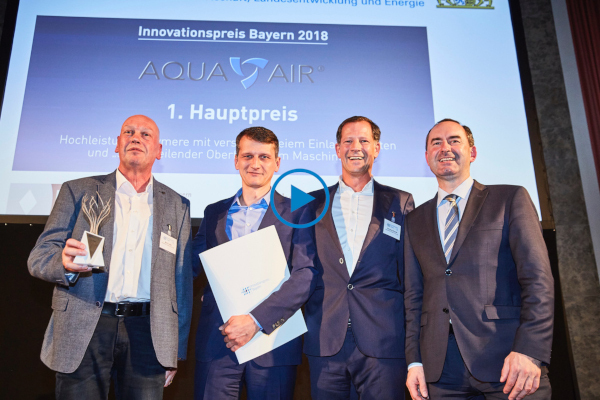 Their outstanding energy savings qualify the new large AQUAAIR plants for a BAFA grant as a subsidy to the investment costs. The values prescribed in the relevant performance category are even significantly lower. Up to € 10,000 and more additional savings per facility possible, every year again! With innovative technology, AQUAAIR combines environmental protection with profitability at a new level – to your advantage. 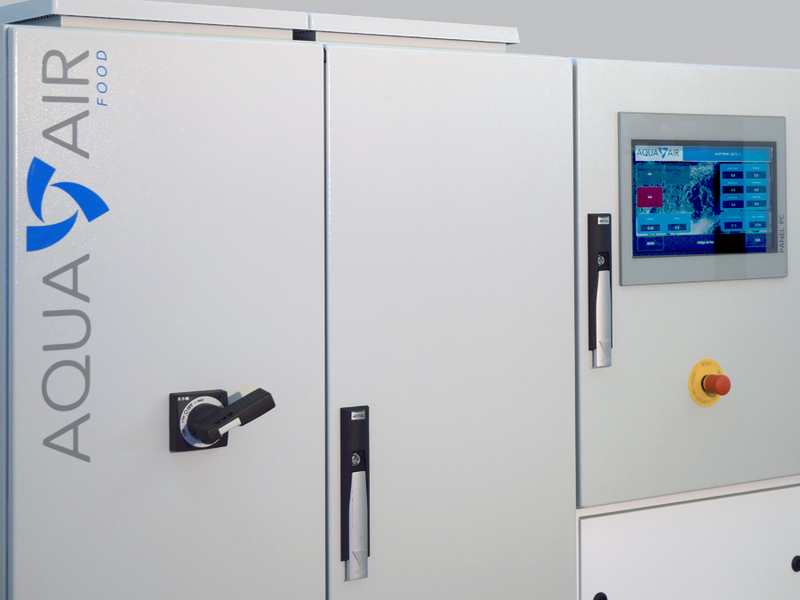 For example, the specific power consumption of a 55 kW system from AQUAAIR is so low that up to about 160 kWh of electricity per day is saved in comparison to the already strict BAFA requirements. Depending on the application situation, the savings add up to € 10,000 and more every year. Would you like to know more about the new AQUAAIR compressor stages? Visit our website or contact us directly – we will be glad to provide you with individual information.